Pain and numbness in left leg kept me home today. Which was only made worse when I stepped out of bed, not able to feel my foot, and twisted my knee. Blarg. On a fun note... 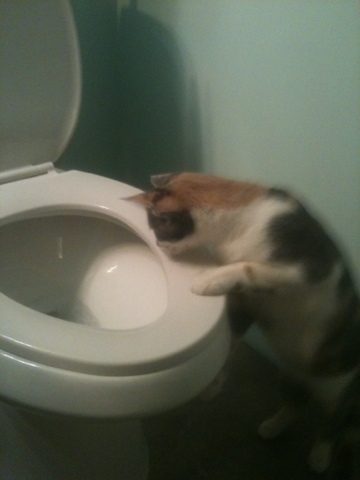 Here's a cat interested in a toilet.